One point of tension for me when becoming a father was the fight between my own needs and that of my family’s. The stress of looking after them and torture of sleep deprivation surely must have a negative impact on my health? How much would I be willing to sacrifice my own wellbeing for theirs? However, in a speech by Scott Galloway, that I wrote about a few weeks ago, he claimed that being a carer was actually the best thing you could do to prolong your life expectancy. I knew that having a partner and friends was one of the biggest factors in life expectancy. However, he claimed it was the act of giving care that produced the effect. There was no source, so armed with some new hope, I set off to investigate. Some studies have shown a lower mortality rate in parents than childless adults. However, perhaps it could be that people who want to become parents tend to live longer, regardless of whether they actually have children or not. 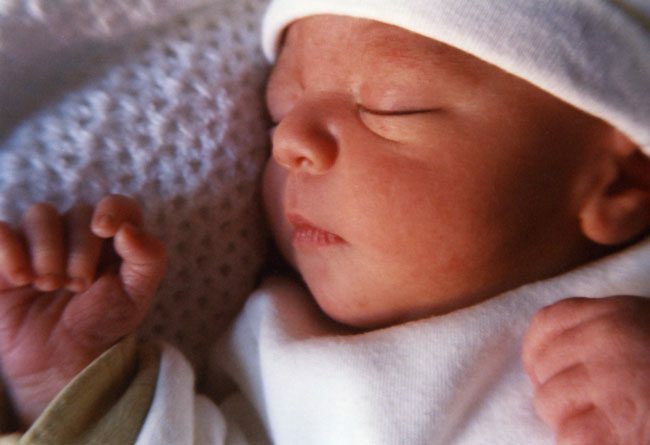 In 2012, The Economist wrote about a Danish study that looked at people undergoing IVF. This was key because it controlled for the desire to have children. They found the same result: parents experienced lower mortality rates than childless couples. Business Insider also wrote about the study noting that men who adopted experienced the same benefit (women experienced some benefit, but not as much as having their own children). This is all good news. While I am sure the sleepless nights children cause will be very unpleasant, at least there is some comfort that it is actually good for my health. Last month, I wrote an article calling out companies that had started using the Finnish baby box tradition to sell their wares. Specifically, my criticism was that the Finnish system lowers infant mortality by acting as a bribe to get people to neuvola, the centres that provide all the antenatal and postnatal care. That is where the evidence-based benefit is. On top of that, giving good quality stuff to poorer parents may also help. However, the there is no evidence the cardboard boxes themselves do anything (obviously, because it is just a cardboard box) and so selling them from webpages that show infant mortality graphs feels like taking advantage of scared parents to me. In fact, the box matters so little that the Finnish government will just give you cash instead, if you wish. The box is worth more, so most people choose that, but the key to the Finnish success is the adoption of the medical care. After the post went up, Jennifer Clary, CEO of US-based Baby Box Co offered to have a chat to fill me on what they are doing. I took her up on the offer. She said she fully accepted the boxes were not magic, but that they were trying to use them as an engagement tool to get more of the good stuff done. So while they love selling direct to consumers, the real opportunities are selling to healthcare providers and governments so that the boxes can be used in a way that is more Finnish. In addition to their actual box products, they’re developing what they call “Baby Box University”. The idea is that they can partner with authorities, who get people to complete online courses and come out of the end with a certificate and a free baby box. This sounds super because it fills in the missing gap in replicating Finland’s success. Infant mortality is lowered by developing educated parents who engage with healthcare programmes, and it sounds like what Baby Box Co are doing supports that. 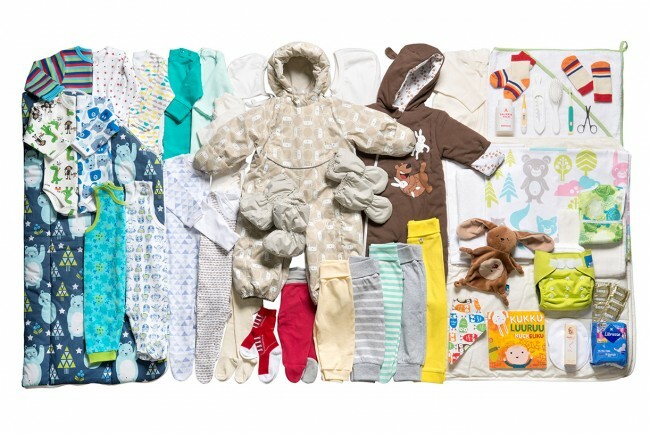 In 2013, BBC Magazine ran an article about the Finnish Baby Box: a box containing loads of useful stuff that every expectant parent is given. The idea became popular all over the world. When the royals popped their sprog out, the Finnish government even sent them a box. In a new article by BBC Magazine, published earlier this month, they discuss various start-up companies that have attempted to replicate the concept as a business for the rest of the world. Finnish Baby Box seems to do quite a good job of it. For £320 you get a range of 50 different items, similar to the actual box contents. Of course, there is a Moomin edition too, that clocks in at £480. Elsewhere however, people seem to have done an excellent job of entirely missing the point. Both British Baby Box and the US-based Baby Box Co sell boxes with almost nothing in them. When you have a baby in Finland, you go to special baby centres. Here you have all of our antenatal and postnatal care until the child starts school. It’s all in one place, making it easy to access care services. You have to go to all the antenatal services to get the box. So everyone does, even if they only want the box. The box is full of useful stuff like a mattress, baby clothes, blanket, toiletries and most other stuff you need to care for a new born. The fact that it all comes in a cardboard box is almost irrelevant. That is not to say that some Finnish parents do not use it as the baby’s first bed. Some do. Many just use it to store baby’s things in however. Which makes total sense because, when you think about it, why would sleeping in a cardboard box be beneficial for your baby? If people want to sell their own version of the baby box, they are free to do so. However, it is misleading to suggest that there is any evidence that the box is beneficial. Finland’s success comes from their wide adoption of their antenatal care system and high quality products given to new parents, not some kind of magical effect of sleeping in a cardboard box. Since publishing this article, I have spoken with Jennifer Clary, CEO of Baby Box Co. You can read more about the interview here. In March 2017, the BBC published another follow-up article entitled “Do baby boxes really save lives?”, raising the same questions that I discussed in this post. It includes Emily Oster, who is the author of a book I highly recommend, Expecting Better. You can read the BBC article here. My mindfulness book has recommended that I do one thing a day and really concentrate on it. I decided to do my walk home. I usually listen to an audiobook on the walk to and from work, so I decided to skip one of those and ‘be mindful’. Evening made the most sense as there was more light. Like super-difficult. My mind has no off switch. It wants to think about things. They are loads of things to think about. It doesn’t even need to search for things: there are already a bunch of topics rolling around in there that need some CPU time. How is one supposed to banish it all? I suppose that is the exercise. Cars, planes, trains, alarms. They all make loads of noise. And when you are not allowed to think about anything, you think about that. It occurs to me that train tracks properly run alongside rivers because rivers have the flattest and most consistent ascent. However, that means the one potential haven of peace and quiet in cities often has trains running alongside it. The mode of transport I passed most frequently was the canal boat: all of which were silent. My mind jumps from topic to topic, but I actually enjoy most of the thoughts. My walk is good imagination time. I don’t really want to experience the world. It’s Leeds. It’s cold, dark and full of ugly buildings. According to the books, people experience this great awakening about how much of life they have been missing out on. I did not experience any of that. I probably did notice things more, but nothing that was interesting or memorable. It was just the regular world that is always there. Recently we were discussing antidepressants at the mental health charity I run and I thought it would be worth sharing a few points that came out of the discussion. There is often a lot of scepticism around antidepressants. Irving Kirsch has a whole book about it. However, not only have the drugs been shown to work in clinical trials (I’m not sure how much faith I put in this since All Trials) they are also approved by the National Institute of Clinical Excellence. They are not immune from bias of course, but they generally don’t mess around because the NHS has a limited budget and it’s their job to make sure it is spent on stuff that works. There are a number of different drugs on the market, some of which do different things and at different doses. These affect people in different ways. That means that what helps some people might not help others, and what gives some people side effects will be fine for others. It also means that your prescription is trial and error. There is a good chance the first one you get prescribed will not work, either because it is the wrong drug or because you need a different dose. That means if the first thing you try does not work, try not to get disheartened. April is suicide month sadly. More people kill themselves in April than any other month. The working theory is that the improved weather conditions provide people suffering from depression to go out and doing something. Unfortunately, this something is sometimes taking their own life. If true, this would also explain why one of the side effects of antidepressants is suicide. Luckily the limited data available on it suggests that if you inform patients to expect these feelings and be aware of them you mitigate the risk. Is it time to hit the bottle? Last year, Business Insider and Time wrote about how non-drinkers die significantly younger than moderate (or even heavy!) drinkers. Non-drinkers and heavy drinkers are similar, while moderate drinks enjoy the longest life expectancy. Of course I knew about similar studies already. These results have been floating around for a long time but it is difficult to apply it personally. Drinking is associated with being social and non-drinking is often associated with being a pessimist. Both of these factors would lead to drinkers living longer. However, those are all overall trends – whether I drink or not, I am still quite social (I think) and a pessimist. However, Time then also linked to a 2009 study that indicated that non-drinkers are also at the highest risk from depression and anxiety. If true, the best think for your mental health would be to drink moderately. This study wasn’t controlled for underlying health conditions, so again it is difficult to draw conclusions about how to live my life. Pacific Standard also wrote a lengthy article looking at a lot of different factors. They note that the biggest meta-analysis which looked at over a million people confirms the same results – drinking is the healthy option. 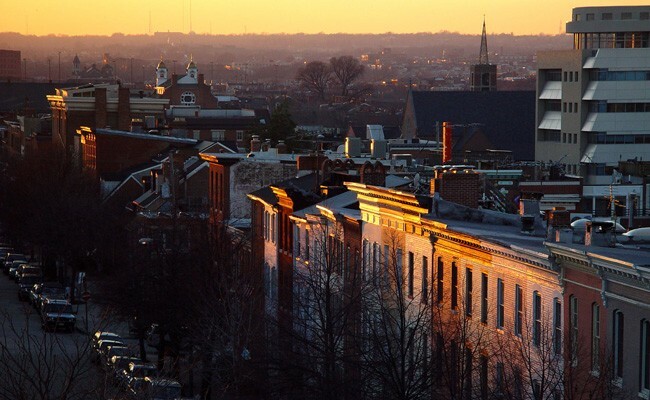 Though again, it fails to control for underlying health problems that stop people from drinking. 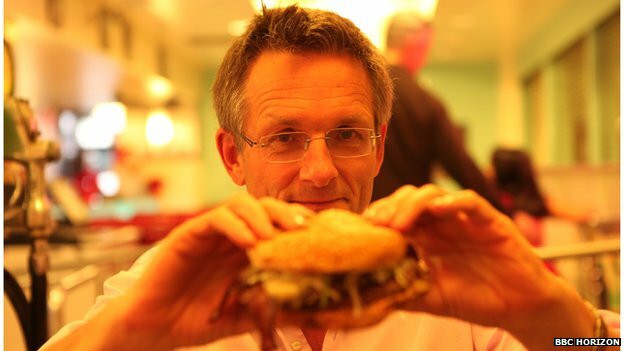 Last month Michael Mosley made a Horizon documentary on “should I eat meat?”. The documentary started with a discussion similar to the one we recently held at Leeds Skeptics. The spoiler answer is yes. Meat is incredibly nutritious and often a centrepiece of family life. A non-meat diet can be very healthy (after all life-long vegetarian Lizzie Armitstead won an Olympic gold medal), but you do need to think a bit more about your nutrition. Meat makes it easy to get it. The program dismissed white meat (chicken, poultry, fish) as not showing any signs of negative health effects, and so concentrated on red meat (beef, pork, lamb) and processed meat (bacon, sausage, ham). Red meat comes out somewhat negative. It could have some positive health effects, but overall it is a negative. We’re just not sure why. Originally it was thought to be saturated fats, but this does not seem to be the case. Processed meats come out hugely negative. 35 grams per day could increase your risk of premature death by as much as 30%. While the Harvard study and European EPIC study disagree on red meat, they come together on the danger of processed meat. Cutting down on your meat is probably helpful. Processed meat should be cut out entirely; red meat should be eaten 1-2 times per week at most. Such a diet will not only extend lives by as much as five years on average but will increase the quality of life of those years as well. Cleaning your teeth is important and well worth it. That having said, if you’re anything like me, you’ll find it a bit of a chore. If only there was some way to combine it with other such activities to take up less time. Then it came to me – teeth showering. We have a walk in shower and the sink is right next to it. The solution is to just take your toothbrush into the shower. No lack of water should you need it to clean your toothbrush once done and if you want to rinse your mouth out you can just stick it under the shower head. Give it a try, you’ll never go back.